KitchenAid 4.8l Food Mixer, £379, John Lewis– a must have for all mummies that like to bake! Clarins Double Serum, £55, Clarins– treat your mum to this magazine favourite (2013 & 2014) anti-ageing serum, our mum’s do deserve the very best after all. Liberty Print Handkerchief, £5.95– can be used to line your main gift’s box and doubles as another. ‘I’m going to be a mummy’ mug notonthehighstreet.com, £12.95- let’s not forget the mum’s to be, this is a great gift for the expectant mum. John Lewis, French photo frame, £8– Meaningful gifts are the best- grab a photo frame, the best photo of the two of you and voila, a gift mum will just love. Emma Bridgewater, Polka Pansy Medium Vase, £21.21, Temptation Gifts– planning on getting mum flowers this mother’s day? Go that extra mile and give her something gorgeous to put it in. We love this Emma Bridgewater vase and we think mum will too! 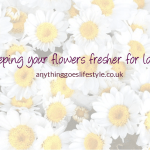 Personalised Family Tree, £20, notonthehighstreet.com– what matters most to mum’s is family so something that symbolises you all is sure to be a winner. You can fit up to 20 names on this print so if you’ve got little ones of your own now you can include you all. Cowshed Knackered Cow, Relaxing Discover Bag, £19.50, feelunique.com– mum’s really do deserve to be cared and nurtured too so anything Cowshed really shows you care; use only natural botanicals from sustained resources containing the highest quality essential oils. 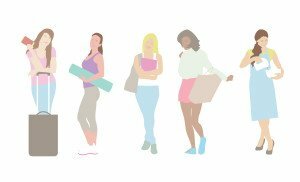 What’s more is they guarantee no preservatives, no petrol based products, no artificial fragrances and no animal testing/products- pure ingredients for a pure heart. Radley De Beauvoir Tote (colour Jade in picture) Medium, £209, John Lewis– For an extra special gift, mum’s will love this gorgeous Radley Tote bag; mum will feel confident, super chuffed and so stylish- every mum deserves a tote! BareMinerals In The Spotlight Collection, £39.20, feelunique.com– everything your mum needs to feel glam, includes: eye colour, blush, lipstick, mascara, brush and bag. Valued at around £112, this gift is exceptional value! Charbonnel and Walker Pink Champagne Truffles 135g, £7.99 (normally £9.99), Ocado– these luxurious truffles will be much appreciated and will make a change to usual chocolates. Currently on offer at Ocado. Pandora, Moments Always in My Heart Silver Bangle, £75– Every mum deserves something sparkly! If she is a Pandora fan or you want her to get started, this is the perfect bangle. It is also engraved with the phrase ‘Always in my heart’. Robin Roberts, Everybody’s Got Something, Amazon, £19.99– Looking for the perfect book? Our Reader’s Corner writer Claire, highly recommends this uplifting memoir. You can read more about the book through Goodreads. Calvin Klein, Eternity Moment, Boots, £24.50 (from 4th March RRP £50)- Treat mum to her favourite fragrance. The Calvin Klein Eternity fragrance will be better than half price from the 4th March, they’ve got a number of fragrances on offer so well worth the look! Want to DIY? We look to Pinterest for inspiration! 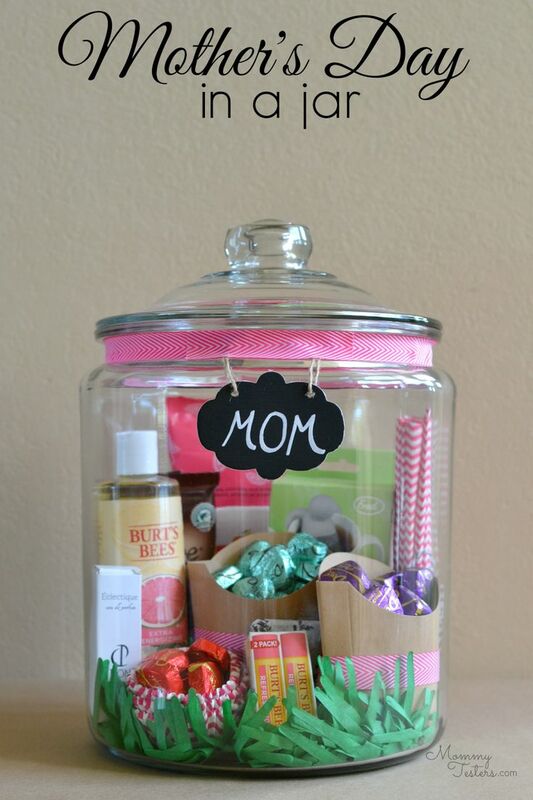 Fill a jar- pop a selection of goodies into a jar- face mask, chocolates, lip balms/lipstick, nail files, nail polish, pens, puzzles, trinkets etc. 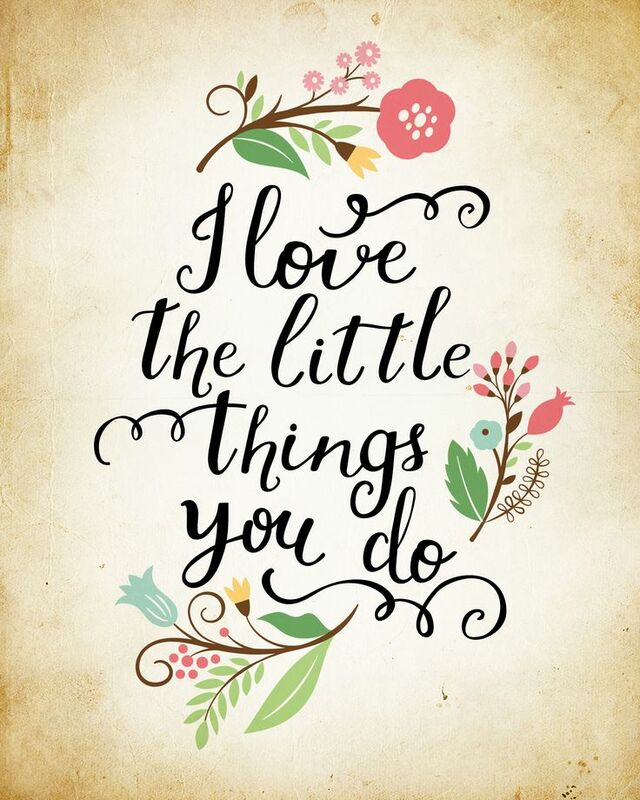 You could also fill it with memories- put in all your favourite memories of your mum, something you can both enjoy doing and sure she’ll be touched by the gesture- especially if your remembering things that she thought were quite small. handmade cards will be greatly appreciated! 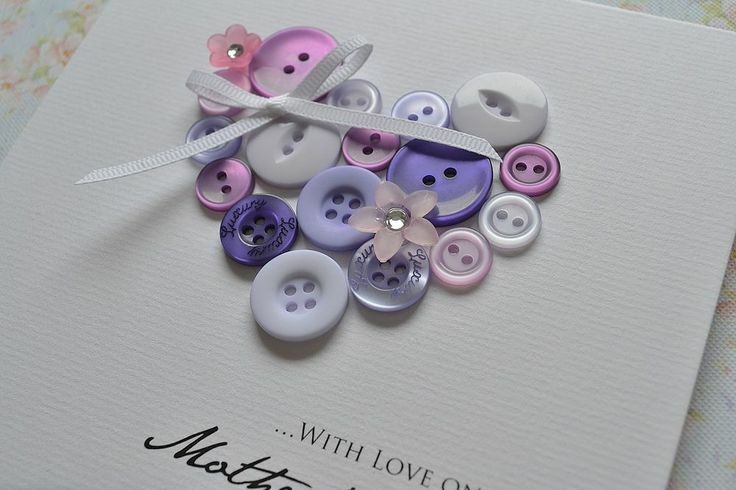 This button heart card is so cute and can be doubled as art (put in a frame to hang pride of place later). 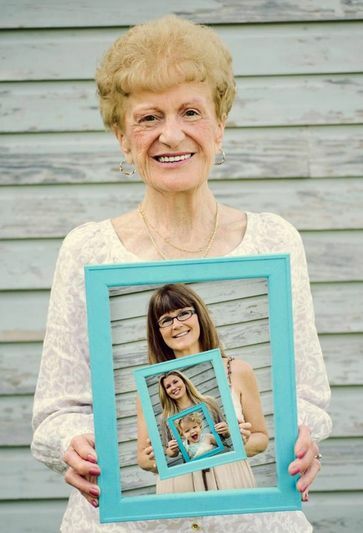 Generation game, photo edition! Any present mother, grandmother and/or great grandmother would love. Makes for very different and cute home decor too. There are many free illustrations, poems and quotes on Pinterest that you could use- print one off and pop into a frame. 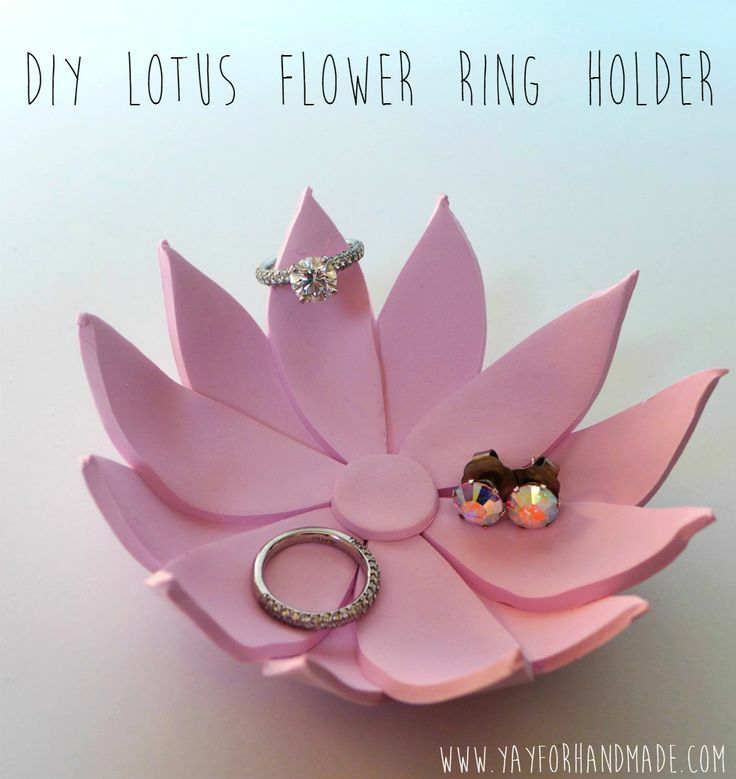 DIY jewellery holder. This is a US DIY so the link to the clay is Amazon US, however, the clay in the UK is Sculpey Premo from Hobby Craft for £2.29, available in 30 colours! 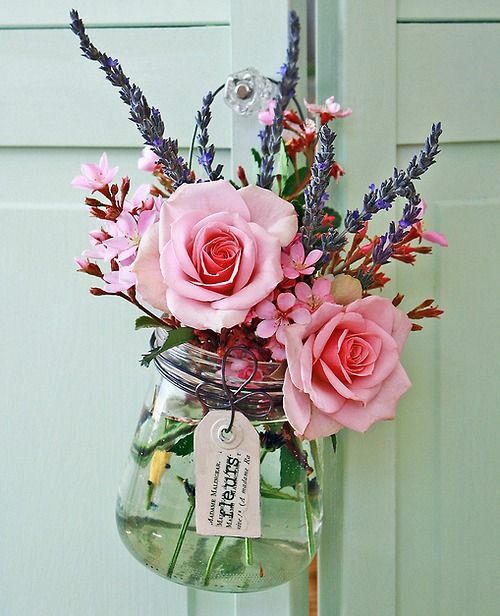 DIY vase- purchase any mason jar and add ribbons and homemade labels, buy glitter glue for unique ideas. Possibilities here are endless!